I am a German architect. Since 2008 I am working in Guangzhou, Guangdong province, P. R. China. On this website I am publishing my works, I have done in the last few years. I want to share my ideas with you all! Feel free to give some comments on my stories and pictures. So far (spring 2011), most of my posts are listed under the menu ‘Architecture in China‘. I hope you will start to visit my website frequently. A few days ago, a sales person of a local 3D company came into our office, presenting us a booklet of their former work. She was very proud to show me her advertisement brochure with all the colourful pictures. In former times we did some projects with this company. Now I was astonished to see, that they used all my project renderings for their advertisement. They did not mention my name, as they did with all other projects in her brochure. I was never asked, if I am fine with this. After I was angry for a second, I thought this is the usual way here in China. So why should I be bothered? Most of the work I made over the years remains unseen on my volume discs. I always use the same 3 pictures to present a project. When I look through my old work, I am often astonished, what other funny things I made before. With publishing them, I want to share my passion for architecture, spatial design, 3D-modeling and 2D-rendering. If my work is an inspiration to you, use it, change it and do, whatever you like! But be so kind to mention me as a source of your work. Look for the exact details of the license under Creative Commons Attribution-ShareAlike 3.0 feel free to use it for further ideas. On this website you will not find a link to my twitter account. Also no link to my facebook profile, Xing profile or to Google blogger. Well, I simply have no accounts there. Being a German, as you may know, in Germany there is a big concern about the way, these big companies are using your personal data. I could start a long discussion here about the Pros and Cons of the so called Web 2.0 standards. Finally it is much easier: I am living here in China. These services are all blocked in China. I simply have no access to them! 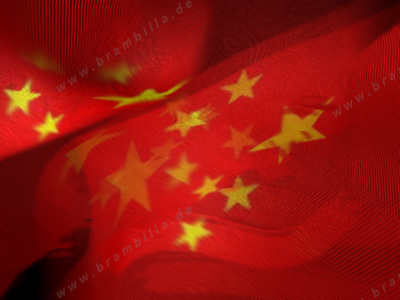 Brambilla explores China by Guenter Eger is licensed under a Creative Commons Attribution-ShareAlike 3.0 Unported License.